What is the Thunderbolts Adventure and when will it be held? The 2019 edition of the Thunderbolts Adventure will be run on 13 – 14 April 2019. 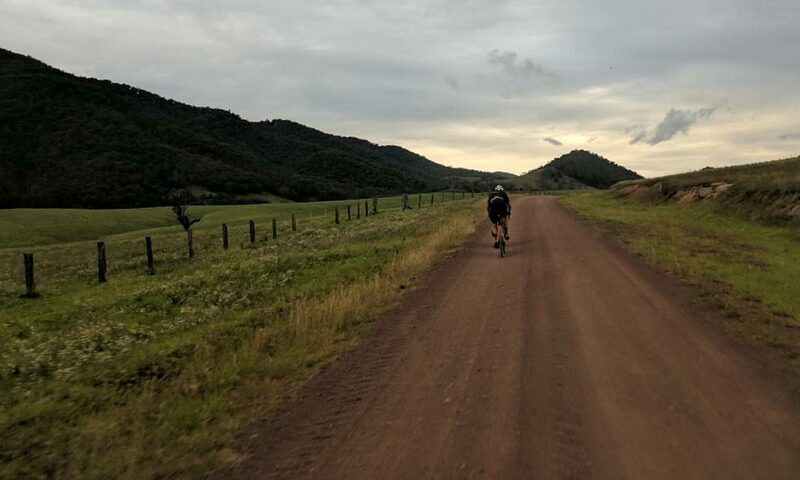 It will be an overnight gravel adventure in the Barrington Tops in New South Wales designed for competent cyclists who are experienced in long distance riding. Have a reasonable level of mechanical know how would you need to perform running repairs on your bicycle eg, punctures, ripped tyres, broken chains, non-functioning gears. No. But kind of. A few will race for line honours and Strava bragging rights, but most will race themselves and look to team up with a small bunch of riders of similar ability. Whether you are racing yourself or others there is a chance you could be riding by yourself at times, so it is most important that you come fully prepared and self-sufficient. Better still bring your mates who you normally ride with and you are sure to have a great ride in spectacular country with friends. Plan to be self-sufficient. You need to navigate your way along the course as there will be no event markings. You will need to carry your own nutrition and hydration. You need to carry sensible protective clothing keeping in mind that weather conditions can be quite changeable. You need to carry any spares that you feel you might conceivably need on the day. There will be 1 opportunity to top up bottles on each day. There is a water top up point at around the 60 km mark on Day One. You will be able to leave some water bottles with a vehicle which will deliver them to a designated location around half way through the ride on Day Two. We will have a sweep car drive through after the event on both days, to make sure everyone is back safely, but you could be waiting a long time for this car to come through and it may not have space for you so don’t rely on this as a sag wagon. It is primarily to ensure the safe passage of the riders. Who will be doing support? Great question. We are looking for people to help out. Give us a shout if you know someone or would like to volunteer yourself. We will cover your expenses and we reckon there is a good chance you wont have to buy a single drink on Saturday night. You will need to sign on at the start of the event. We will have a sign in “Check Point” at Victoria Hotel Moonan Flat Pub at the end of Day One – the second “Check Point” will be at The Roundabout Inn in Gloucester on Day Two. You will need to sign into both locations as you pass through so we know what section you are on should something go wrong. What are the route options? The event is going to be a total of up to 250 kms with approximately 5000 vm of elevation over two days. You’ll traverse the entire Barrington Tops and return to the start point in Gloucestor via a mostly remote gravel roads. This is an Overnighter that will be a tough but enjoyable two days – the event in previous years was completed in one day. When will I get the route? We will send you the route a couple of weeks before the event. We will send you a Strava route and GPX file. How you navigate is up to you. If you want cue cards, paper maps, topos etc that will be up to you to get. We expect every individual rider to be able to navigate the route. You may not be riding in a bunch and this is a bloody big remote area. What do you mean by remote? The majority of this event takes place a long way from civilisation. There is little to no traffic on these roads and no facilities. Except for Victoria Hotel Moonan Flat Pub there are no shops along the route. There are very few residents to be able to assist you. Of course, we, the organisers will do what we can to help should you be unable to continue and still a long way from the finish but having a PLB or SPOT Tracker is highly recommended. Not really, apart from in Gloucestor. We recommend you do not rely on your mobile phone for navigation or communication. Do I need a SPOT or PLB? You are riding at your own risk. If you have a SPOT Tracker that would also be adequate (but note that SPOTs are not as useful in an emergency as a PLB which will directly contact AUSAR). If you don’t have one, hire, borrow or buy one. Eg. http://www.epirbhire.com.au/ or Blue Mountains Police Rescue and some NPWS. What bike do I need to take? The route is perfect for a Gravel Bike or CX – consider running the biggest rubber that will fit your stead will fit – run at least 38-40c tyres with at least some tread (ie. not slicks). Please don’t bring your roadie, even if you have 28s on it. The Barrington Tops road is hard with large chunks of embedded rocks. A mountain bike would be fine, but it’s a long way to ride on a MTB. There are two big climbs. This first climb is around 1000 vm and the second is about 800 vm which gets over 15%. Low gears would be nice. Some highly credentialed riders ran 42 F x 32 R (ratio 1.31 with 29er Wheel) as their lowest gear last year and found that quite challenging. What is the quality of the roads? The roads are all good quality gravel roads with very limited bitumen. Barrington tops rd is very compacted gravel with large embedded gravel which can be tiring to ride. There is hero dirt and lots of smooth gravel as well as some more washed out gravel roads. There are two sections where extra care should be taken. The descent on the western side of Barrington tops is smooth and fast. It also lack guard rails at many points. In addition these is a very steep and loose descent on the northern return section. What spares do I need? Everything to get you through the ride, but if your bike is well maintained then punctures are the main concern. Keeping in mind that there are no bike shops along the way, consider your worse case scenario and plan for that. For example, let’s say you have been unlucky and had a few punctures. You are on your own, you are out of tubes and cannisters. If you have a hand pump and a some patches you might be able to repair a tube to get you out of trouble. A $5.00 note is always handy for blocking a torn sidewall. Other spares you might consider would be a chain breaker, a spare quick link and a spare Derailleur hanger. In addition to this consider bringing a basic first aid kit and space blanket. What if I want to pull out of the race? Don’t count on anyone picking you up. We will have a sweep vehicle, but there may not be space on it. The locals are friendly – we had a mate who was lucky to get a lift back to Gloucester last year! Yes. While you’ll likely be back before it gets dark – these are a safety feature so please bring at least one rear flashing red light and a solid white front light with 4 hours capacity. Is this a sanctioned race? No. You ride at your own risk. We highly suggest you have ambulance cover. The roads will not be closed. The route will not be marked. We are sure other riders will do what they can to help you, but in the end you’re on your own, and responsible for yourself. There maybe a few sneaky segments out there with some prizes at the finish for various achievements. To be eligible you must log your ride on Strava (and have it uploaded by the time we have a beer in the pub at the end of Day Two). What is cost of the event? Dinner on Saturday night and breakfast Sunday morning will be catered for and included as part of the event entry fee. We will also be providing a little bit of event schwag, reimbursing expenses for the support vehicles as well a funding the ongoing development of the Graveleur Community. The total cost per rider will be approx $ 70.00 and entries will be limited. More information about how to secure your place will be available soon. While the beer is cold (as well as other beverages) – all drinks will be at your own cost. Will I need to carry my tent? If you are planning to camp, we can get your tent/swag/sleeping bag dropped at Victoria Hotel Moonan Flat Pub – one less thing to carry on your bike. This will be returned to Gloucester on Day Two.